Gordon Atkinson was the pastor of a small church in San Antonio, Texas. But he is more widely known to a large online readership simply as “The Preacher,” having posted many honest, witty, probing reflections on the blog called RealLivePreacher.com. 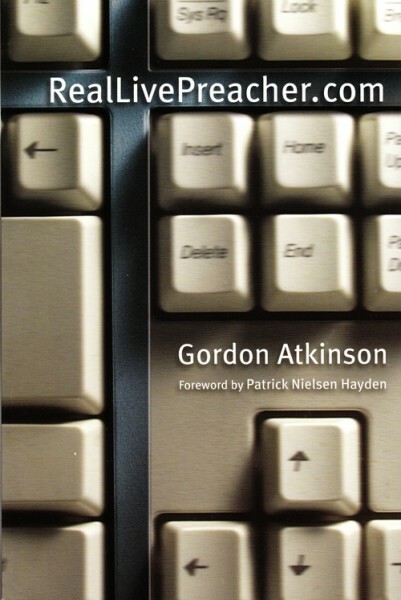 Within months of the blog’s start in late 2002, thousands of people were coming to read Atkinson’s latest postings. Anyone wondering about the spiritual side of Atkinson’s writing can expect challenges. One of his aims is “to find God in the seams and transitions of life, especially at the places where sacred meets secular.” He’s not afraid to explore the full spectrum of life, including the disturbing. No matter the subject, however, the common thread running through these essays is the search for God in it all. Artwork created by Steve Erspamer used by permission of Liturgical Training Publication. SKU: 0-8028-2810-8. Categories: Books, Gordon Atkinson. Tag: w.